We've Moved! Don't Miss Out! Please visit our fabulous new site with integrated blog. You can find more of the same great content and conversations there! Holy Toledo. It has been a very long time since we have posted. But there is a good explanation for our delinquency! We've been busy concluding our interviews (snippets of which will be posted through October), opening a new space in our existing building, AND...we are launching a whole new website and blog in the next week or so! We are going to be able to share lots more information on our new platform and better yet, we will be able to interact with you more. In the meantime, sit tight and hang in there with us...new and improved is on its way. On this exciting book journey we have the pleasure of interviewing nearly 100 women who are running interesting, inspiring, and innovative companies. While we of course will be including lots of details in the book and discussing the interviews over the next year, in the meantime we wanted to share a few tidbits from each amazing interview! Adelaide – Selima said “freedom is much more expensive than money”. I’ve been thinking a lot about that. Amy – I love how Selima has experimented with her business over time and is keenly aware of the successes and failures which have strengthened her business, her brand and her confidence as a savvy businesswoman! Adelaide – I was so interested to learn that Shazi has found a mentor in Gary the founder of Honest Tea. There are obviously similarities between their brands and strategies. Amy – I was impressed by how she passionate and committed to her mission she is. Both impact her daily decisions about new product development, growth and collaboration opportunities. 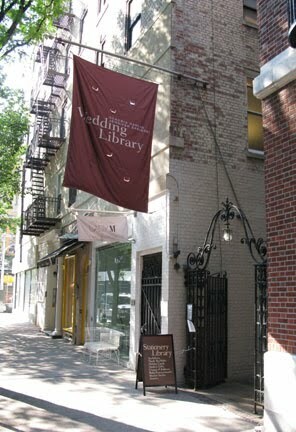 It was wonderful to take a trip up town and visit The Wedding Library - an innovative and interesting business model that has been a NYC staple and industry leader for more than 10 years! We were particularly eager to speak with Claudia and Jennifer as The Wedding Library is a model that we ourselves have looked to learn from many times. Adelaide – I was so interested by all the creative ways they have found to grow their company. The extensions of their business model have not only been innovative, but they have all been structured in a manner that suits their own needs and goals. Amy - I was also intrigued by the many dimensions of their business that have evolved over time. While they set out to create a resource library, they have added event planning and retail components in order to more fully meet their clients’ needs and requests! And they have such a dynamic partnership! We are really excited to see the new directions that The Wedding Library is going in the short and long term. 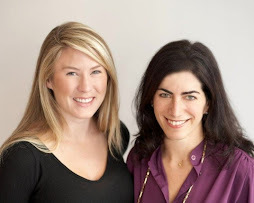 These ladies have been such leaders in their industry and we have hardly seen it all just yet! thank you, Claudia & Jennifer! We were thrilled to have the pleasure of speaking to Janet Hanson, founder of 85 Broads - a leading global network of professional women. Adelaide - I thought it was so interesting that Janet was really able to reframe ex-corporate employees as "alumni" in a way that her former firm wasn't and couldn't appreciate. Janet instinctively knew the value in creating this kind of affinity both to the firm and amongst the women who had left. Amy - I was impressed by how Janet really saw a need for herself and her peers - connecting the women in finance who were exiting in droves - and decided to create an innovative solution. That solution has morphed and evolved over the years into a formidable business with tremendous global reach and social capital. Interview Tidbit: Joy Cho of OhJoy! I have long been a fan of Joy Cho's OhJoy! blog, so it was such a pleasure to connect with her and hear more about her business, brand, and story. Adelaide - I was really impressed by how deliberate Joy has been to grow her business in a way that allows for designing remain central to her role. Case in point, after a brief trial run instead of continuing to produce products Joy moved to a licensing model. Amy - It's amazing that her foray into entrepreneurship was accidental - but as she described a happy accident! And how amazing that shortly after getting started Joy was offered her dream job (at a company she always wanted to work) and she turned it down because she realized she already had her dream job - her own business. This month we have been profiling Pauline Nakios of LillaP. We have talked about feeling like a real business, demanding to be treated like a client, and building a business that allows you to focus on what you love. When we spoke to Pauline, we asked about business directions that have changed over time. Pauline had a wonderful example of a strategic direction LillaP pursued and then decided it was not the right direction for the company. The majority of LillaP's customers are small boutiques throughout the country. Pauline has direct contact with many of the store owners, managers and buyers and has a keen sense of the individual boutiques clientele. For example, Pauline spoke about how brighter colors from her collection are more popular in the south. In NYC and LA many of the boutiques sell tons of basics like black, white and navy. These boutiques have loyal client followings and each store proprietor knows a lot about their specific customers likes and dislikes. Several years into the business, LillaP was approached by Bloomingdales. This was an exciting opportunity for LillaP as a goal of the company was to sell to large retailers. Initially, they felt there were many potential benefits in landing an account with such a big retailer who obviously had strong brand recognition and deep pockets to place a large order. On the other hand, Pauline learned that corporate retailers have lots of requirements, (such as specific packaging) that smaller boutiques do not find necessary. What made it most challenging was the lack of direct contact with the person who was selling the product. Unlike her direct connection to a store owner, Pauline found it difficult to establish a relationship to the numerous sales people at all of the various store locations. When she visited the NYC store, she discovered that clothing was not merchandised well and many styles and colors were piled up in the stock room. Pauline realized that drawbacks of selling to a large retailer outweighed the benefits. She decided that in the future, LillaP would not pursue larger retailers but instead would stick to selling to the customers they know and love - small boutiques! Meet Pauline by joining us for a private talk and tour of her showroom on May 26th from 3-5pm. After an amazing meeting with Sunny Bates, we scrambled out to Brooklyn to visit the Built by Wendy office and warehouse and meet the women behind the fabulous brand, Wendy Mullin! In addition to her fantastic staff, Wendy works alongside Julie, an adorable dog who was quite welcoming. Adelaide – I was really taken by Wendy's appreciation at a very early age with Betsey Johnson and how she created a whole store and life experience in order to brings shoppers into her world. Wendy has recreated that strategy with her own brand exceptionally well! Amy - I enjoyed learning that Wendy's current approach to her business is "less is more". She spoke of having less stores and wholesale accounts than she had in the past but that she is making just as much money. She has less to worry about and is a lot happier - in her words "more chill". It sounds like Wendy has done a wonderful job of making her company work for her needs! Special LILLA P discount for IGC Community! Pauline, owner of Lilla P, who we have been featuring all month through our inFOUCS program has generously offered all IGCers 20% off your entire purchase for the next 2 weeks!! Also, we hope you are planning to join us at the private tour and talk at Pauline's showroom in the meatpacking district next Wednesday, May 26th from 3-5pm. to rsvp please send an email to us at igcrsvp@gmail.com with LILLA P in the subject.